Hi, I’m Grainne O’Driscoll. I approached New You on the advice of a friend. I was an overweight, unhealthy, out of shape mother of two boys and my vitality was at an all time low. Walking in for my first assessment to New You was difficult as I weighed 14 stone 8lbs, had a waist measurement of 42 inches and my health was a worry having stenosis of the renal artery, hypertension, high blood pressure and ankle edema. My self confidence was at a low and my energy levels were rock bottom. I first made contact with New You on the advice of a friend who had attained some great results with New You a few years ago. Even though I had seen what he had achieved I was still sceptical about my own capabilities as I had tried every diet and exercise regime under the sun and I got little or no results. 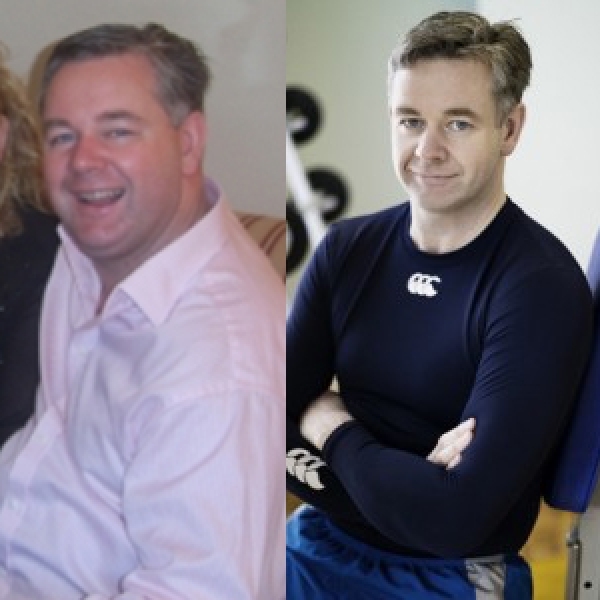 I was a member of various health clubs, but nothing had worked.10 years ago, I was a slim, highly active, estate agent who replaced meals with cigarettes, I never thought I would develop a weight problem. I gave up work and cigarettes when I became pregnant and I stayed at home with my two boys now aged 6 and 10. 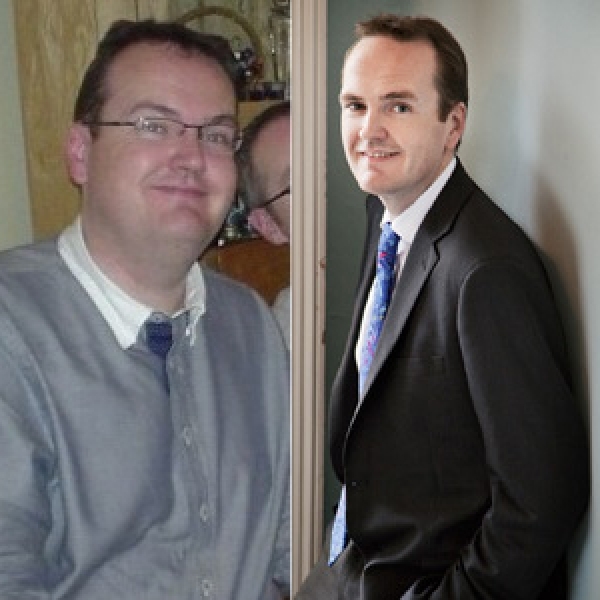 Since then, my weight has constantly fluctuated up and down, spiraling from 10 stone 7lbs to 14 stone 7bs. Along with the increase in weight came deterioration in my fitness and health. I was left feeling tired and very fed up. Having got to the point of no return I was driven to make the call and set up an appointment to have a chat with John Kavanagh in New You. The conversation was both inspirational and eye opening. He explained in detail how their system worked and the important correlation between Exercise Nutrition and Recovery and the way it would affect my physical condition. It all seemed to make a lot of sense but it bore no resemblance to what I had previously thought was the way to lose weight and get in shape. He also allowed me to understand why I had deteriorated so much. He explained why dieting makes you fat and why intensive resistance exercise and proper nutrition was the key to not only losing fat but staying lean. 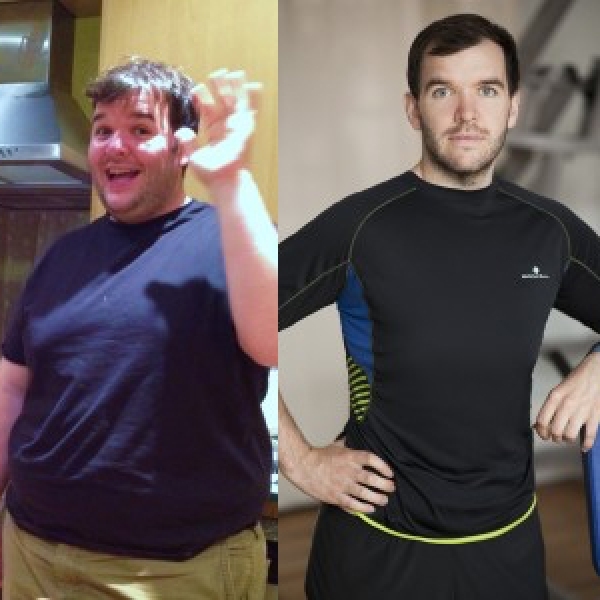 I hadn’t realised that the constant starvation and unstructured aerobic workouts were stripping my body of muscle and slowing down my metabolism. I had my first screening with the Nurse at New You, there were some positives and negatives. On the positive side my state of change was 4 out of 5 so my motivation and focus was fine. However seeing the results of my physical condition in black and white was even more disturbing and very frustrating. The Nurse, Ruth, reassured me that being frustrated wasn’t a bad thing as it would help propel me into action that would achieve great results. 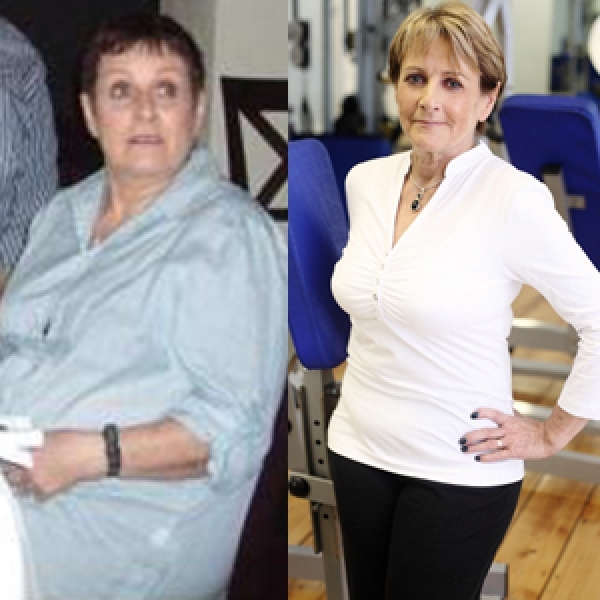 I certainly needed action as my body fat was over 30%, my body weight was 93.4kg and my waist nearly 42 inches. Ruth explained I was 10 inches into what they call the Red Zone, this meant I would be prone to developing a whole list of cardiovascular and blood sugar disorders to add to my medical problems, which were already associated to my poor physical condition. * Ruth completed a full physiological assessment, history of exercise and nutrition habits and evaluation of the medication I was on. I was nearly ready to start. 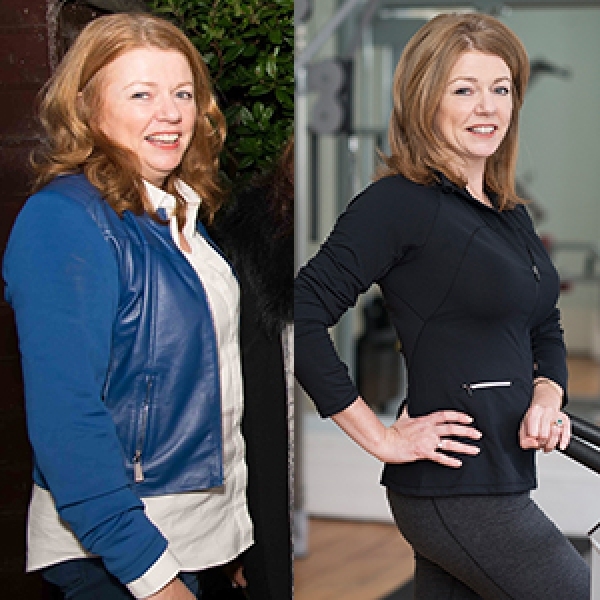 The next day I met my personal trainer whom Louise Cullen, Director of New You felt would be the best available trainer to help me attain my results. Right from the start I realised how passionate he was about his work and how much he cared about me getting the results I had to achieve. My first day started with mapping out my Training Nutrition and Recovery plan. It was explained how precise it was and emphasized the importance of following the system to a tee. It prepared me for the various hormonal changes that would occur as a result of coming off all the rubbish I was consuming. Everything was mapped out and meticulously planned so there was no ambiguity with regard to my eating and training habits. I found the first 2 weeks hard enough due to the lack of junk food, caffeine and alcohol. I did feel instantly better with regard to energy and vitality but I could feel the toxins for want of a better explanation leaving my body. Andrew did explain that wasn’t quite what was happening but I hung on to the thought anyway, it was getting me through it. At the wedding friends could already see a significant difference in me which was only 3 weeks after starting in New You. 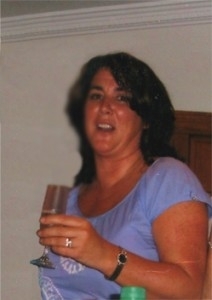 They were right I had my next assessment, 3 days after the wedding and 21 days after starting with New You. I had already lost 15lbs, my waist had dropped an incredible 6 and a half inches and my body fat had come down from 30% to 27 %. I really felt inspired. I now had the momentum to get where I wanted. I have to say that the over all experience at New You was fantastic not only has it changed my shape it has changed my life in so many ways. I have much more energy to enjoy the things I love doing, I have more energy for my two boys and their eating habits have improved drastically. I’m happier and I now have the knowledge and ability to keep myself feeling great forever. I would like to thank Andrew for his massive contribution in guiding and motivating me over every hurdle and to everybody at New You for their very caring attitude, the support and encouragement really made the difference to me. The Dress now fits me fine and it’s the black dress you see me wearing on the New You internet site.